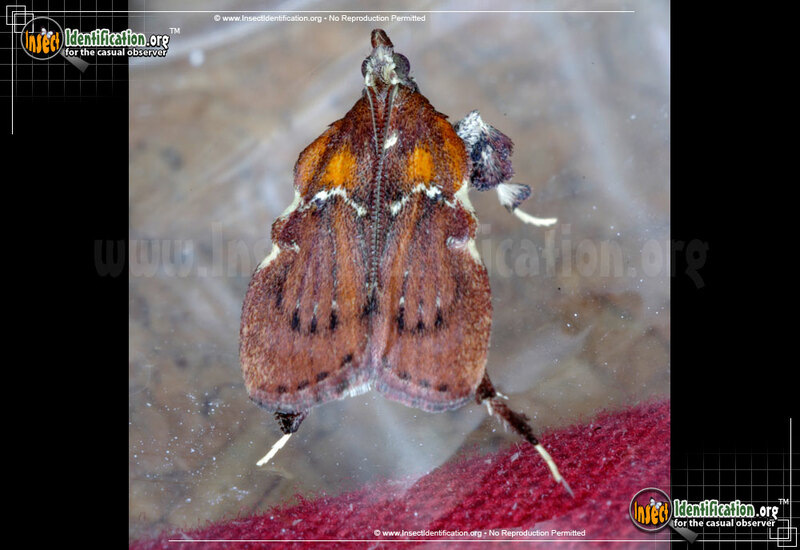 Detailing the physical features, habits, territorial reach and other identifying qualities of the Boxwood Leaftier Moth. Boxwood Leaftier Moths have unusually tufted legs and a curious posture, leaving observers to wonder what they are actually looking at. Adult Boxwood Leaftier Moths have large tufts of black, brown and white hairs on the middle of their legs (at the 'knees'). Forewings are brown with a white curved line running across the center. Orange patches color the upper part of the forewing near the head, coloring also seen in certain Leaf-footed, Seed, and Largid plant bugs. 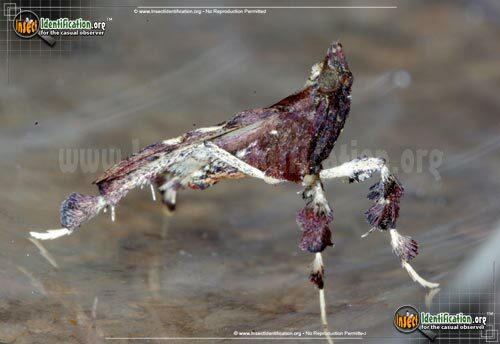 This moth lays its wings flat when resting, but its long legs may still be visible allowing the observer a glimpse at its strange profile where its head is elevated above the rest of the body. 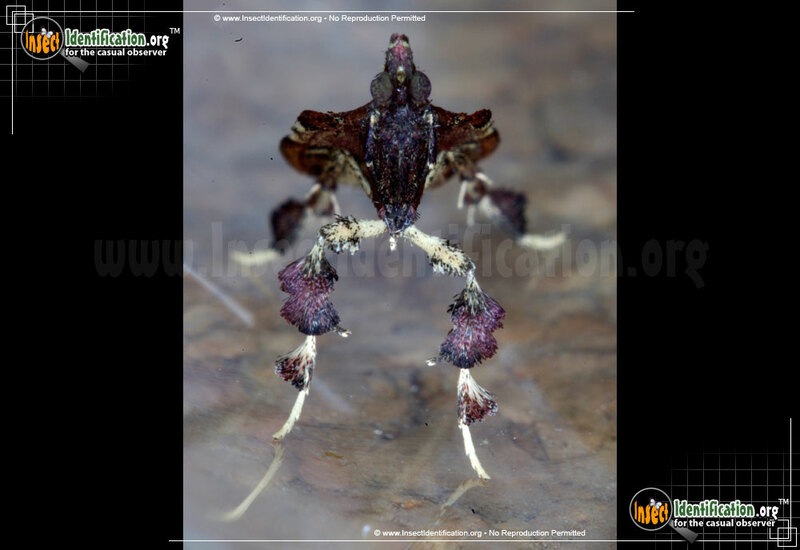 Its body stance and wing shape also resemble that of plant bugs. Though boxwood plants are not native to North America, this native moth has heartily adopted the bush as a host plant and made it an integral part of its life cycle. Boxwood Leaftier Moths are typically found near boxwood shrubs, a popular plant used to establish garden and property borders, or privacy hedges. Females lay fertilized eggs on the plant and the larvae feed on its leaves as they grow and develop. Caterpillar silk is used to tie off leaves to dry them out after which they consume the remains.